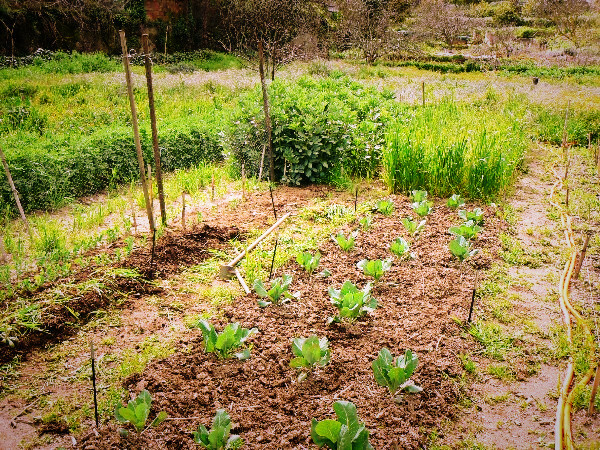 Home » Vegetable garden » Where to start your vegetable garden, some things to consider. The first step dealing with when you want to start a vegetable garden is where to start your vegetable garden. Picking the right spot requires a bit of time. In this blog you will find some things to consider while finding the right spot. After all you are going to put a lot of effort into your garden. It is best to pick the right spot from the beginning. It will save you a lot of frustration afterwards. Changing places for a vegetable garden usually means starting all over again. So in the end picking the right spot will save you a lot of time. Water, light, protection and the right soil. A social place or a place where you have your own peace. Water is, no doubt, going to be used in your garden. It is the most important thing to make plants grow. Although there are systems that work without additional water, even in the dessert. A system like that is not something you would wish to start with since these are complicated systems. Most practical will be a tap right next to the garden. On this tap you can later, if you wish so, connect any irrigation system. You can also fill your watering can to water your newly planted vegetables. Which, in a dry period can just give them the little extra to survive until the next irrigation round. What your plants will also need is a lot of light. They simply need that to grow. Some things might need some shading in the summer, but it is easier to shade those things with a shading net then to have the whole garden in the shade and to struggle with all the other plants that need sunlight. Gardening in a shady place or under big trees is extremely difficult. Especially trees make it even more difficult because their roots are mostly not so deep and in the way. The trees will take all the water for themselves. Some kind of trees even do not tolerate growing something under them. So check where the light is and the trees are not. Sure there are agricultural designs that involve trees. These designs work extremely well. The thing is that you will need a big space for these systems. Not something for a moderate vegetable garden. Some systems do not translate from big to small or vise-versa. When you are living in an area with a lot of wind it will be wise to protect your vegetable garden against the wind. Sometimes a hedge or fence at one side of your garden will be enough. This depends of where the winds are coming from. A building can also function as a wind protector, but make sure it does not shade the garden too much. A little breeze in the garden is, by the way, not a problem at all. Too little air movements can also lead to an accumulation of dampness inviting fungi. Some people like their vegetable garden as a peaceful place where nobody disturbs them. Someone has told me once that without his vegetable garden he would never have been able to do his daily paid job. He had a lot of responsibilities in his job and a busy family at home. Other then his vegetable garden he had no place to relax. When this is you, it might be a good idea to create that peaceful place somewhere a bit hidden. Other people, like me, like a vegetable garden as a social place. A place where you meet other gardeners to exchange knowledge. Somewhere to sit and picnic and enjoy time with family and friends. I am not happy in a hidden away garden. So mine is part of a community garden right in town. The hidden away garden on our own land I barely use. When you have a front or backyard you might choose to have your vegetable garden there. The advantage is that it is very close to home. When you have small kids, you might want to do some gardening when they are sleeping. Or when you are an ‘at home worker’ you can fill the little spare time gaps with some garden activity. Another advantage is that you do not need to travel. You can just walk to your garden. Even if you have a big piece of land you would probably put your garden close to the house. How far is your vegetable garden going to be from the kitchen? Since that is the place where you are going to use most of the vegetables. It is very convenient to be able to harvest a view thing even while you are cooking. Another thing is the access. Can you park a car close to the garden? There will be heavy things that you will have to bring to your garden. Like manure, seed potatoes, compost, wood for raised beds, cans, containers, straw, tools, and in case there is no tap, water. It is much more practical if you can bring it there by car instead of having to carry everything a long way. 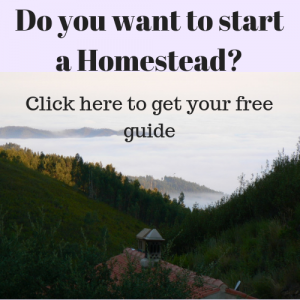 When you have a homestead you might want to make your own compost from the animal manure that your goats or cows produce. It is handy that you can transport this manure, or the final compost to your garden in an easy way. Either by wheel barrel or by car or tractor. Something more to consider is where are your tools going to be. It is most practical that they are right at the spot. A small shelter where they can be protected from the sun and the rain extents their live time a lot. Maybe your tools are in your barn or garage. In this case you might consider to place your garden not to far from there. You might have to compromise with the distance to the kitchen and the distance to a water point though. Disadvantage can be that you do want to have that peaceful place for yourself. That will probably not happen when your vegetable garden is in your yard and you have a busy household. Your yard might be very small. You can get a long way with containers and going vertical, but you might still not have enough vegetables for the year round. Small yards can also be very shady. If the soil quality makes you cry, it might also not be a good idea to garden on your yard. When you want your peaceful spot, have a small yard or a yard with bad soil you might want to consider the next option. Lot’s of towns have small allotments in or outside of the city. These you can rent for a small amount of money. Some allotments even allow little houses where you can picnic with the whole family or with your allotment neighbours. Allotments can be a very social thing. Some are organised in groups, so you will have your plot as part of a garden that belongs to a group using utilities together. Be aware of the fact that groups always have rools. It can be very nice and beneficial but you have to make sure you and the group are some kind of a match. Other allotments will provide you with a peaceful spot of your own. When you have a choice between different allotments, which one are you going to take? You might think of this: is an allotment somewhere on a route that you take anyway? For instance from the shop to your home or from your work to your home. This way you can easily pop by and save petrol. Again the acces by car and a tap at hand are an important thing to keep in mind. Also: can you store your tools there or is that not an option. Sure you can take your tools to the allotment when you are going there. But forgetting something is easy and can be annoying when the allotment is at the other side of the town. Disadvantage of gardening in an allotment is that filling small time gabs with garden work is not possible. You will have to plan your garden work ahead. You also need to harvest in advance. You can not go out of the kitchen and quickly pick a lettuce. When you are living in a compound there might be another option. Running a garden together with the people in the compound. Again make sure the group is a match. My experience is that groups gardens work best if everybody has his or her own plot. When there is a lot of space you maybe can run a potato fields or corn field together. I did garden in groups sharing one plot and all the tools and it was a good experience, I liked it a lot. The thing was that we were already a cohesive social group and started the garden together. So it was more like a family having a garden. At other times it would have been a nightmare to share a plot and I was very happy that I had my own. When you have small kids, that are interested in plants, it is very nice to give them a square meter in the garden all for themselves. This way they will learn something gardening. And they will sure be very proud to produce their first carrots. This is the way I got hooked to gardening. I had my small corner in my grandmothers garden where I would grow some lettuce, carrots and radish. I was very proud of my first harvest. When ever I was at my grandmothers house I would go into the garden and check my small corner. I loved it! I hope this information will help you pick the best spot for your garden. If there is anything you want to ask, please do. Leave a comment and I will answer. If you want to know more about what we are doing on Terra do Milho, check out our Facebook!